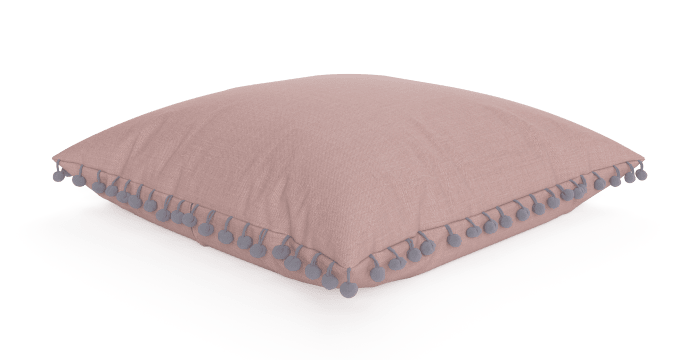 Snuggle up with the Pallo Cushion. 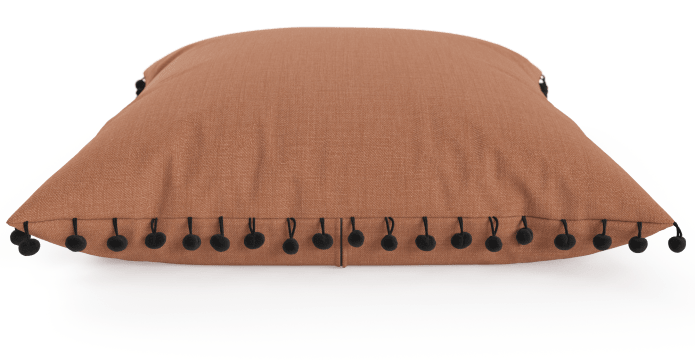 Plush and practical, it’s the easiest way to spruce up a space. 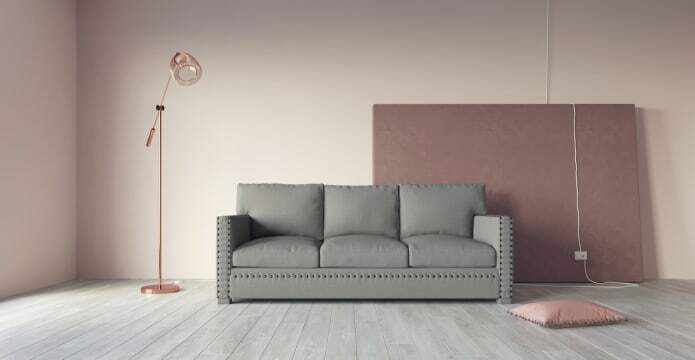 Let this beauty shine anywhere from the bedroom to the lounge area. Match it with the rest of the Pallo Collection. 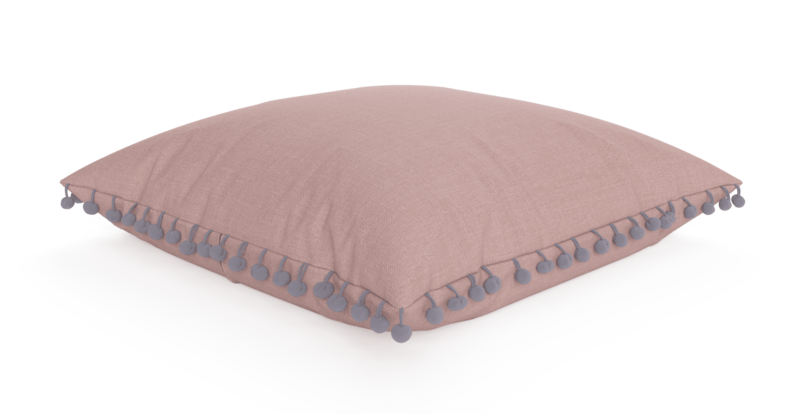 The Pallo comes in our linen-blend Signature Premium fabric, in a range of delightful hues. Go bright and bold or soft and neutral. See more of our stunning cushion designs. Who doesn’t love a pom pom? 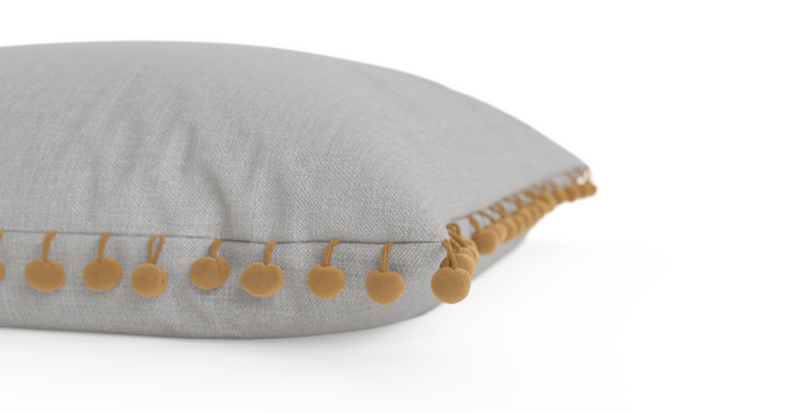 The Pallo shows off its playful sense of style with contrast pom pom detailing along the edges. The matching zipper is hidden into the design. Three sizes are available, for you to coordinate around the home. 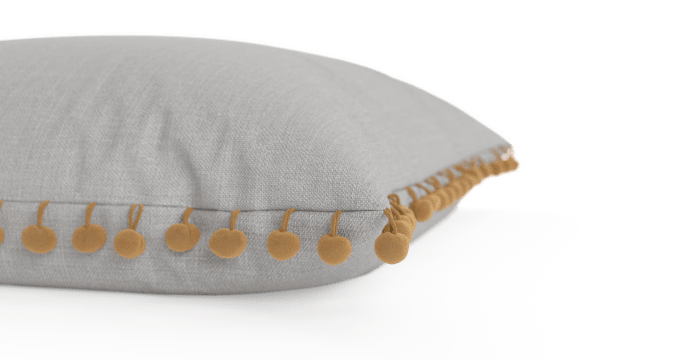 The Pallo also has a soft Duck Feather Down filling, providing the ultimate comfort. 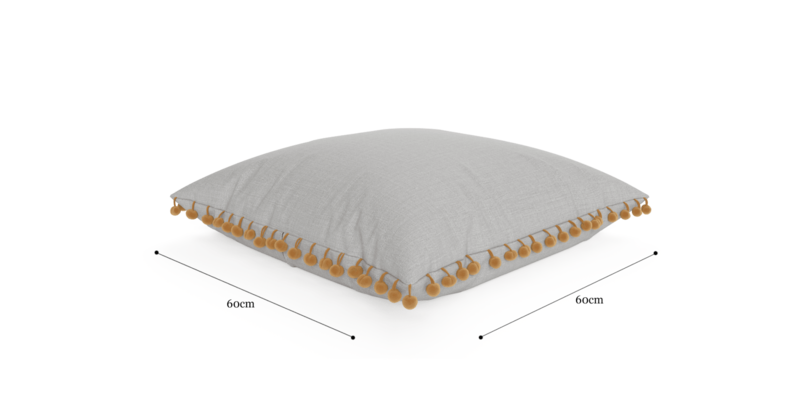 See, touch and feel our fabrics used on our Pallo Large Cushion 60 x 60cm. For Free! Simply select up to 3 fabrics and add them to your cart. Delivery is on us.